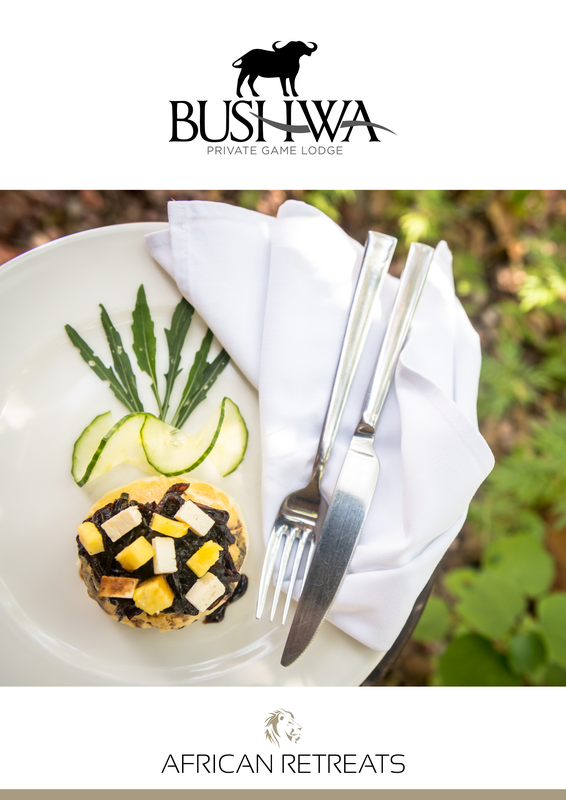 Bushwa offers three unique safari accommodation options, ensuring the needs of all guests are met. 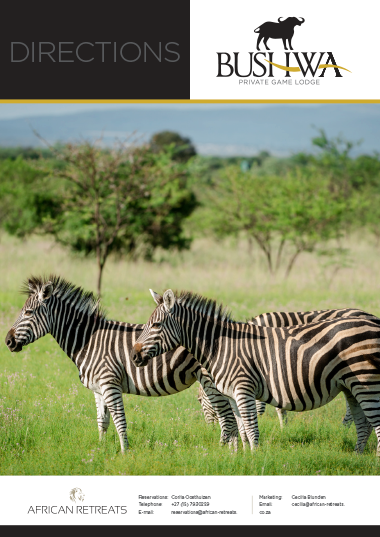 The luxury option is the main safari lodge located on top of a hill with exceptional vistas of the Waterberg biome. Here guests can expect 2 luxury tents carefully constructed from wood and canvas, complete with indoor baths and outdoor showers. There are also 2 luxury chalets with a similar set-up and views. For guests chasing a more rustic, private and self-catering experience we have the Rhino Bush Camp. This is the perfect spot for families and groups of friends chasing a unique experience. There are tented chalets, lodge rooms, and a loft area for children. 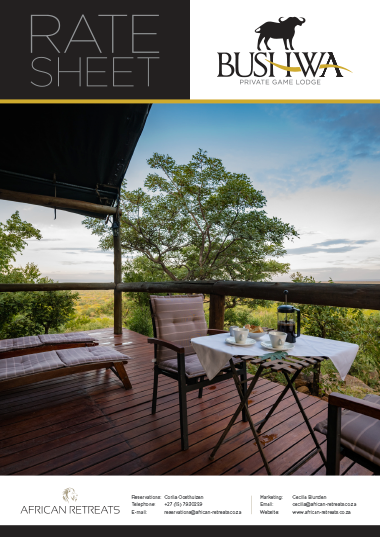 The third accommodation option at Bushwa is the remotely located treehouse overlooking a waterhole - the perfect place for couples looking for a private retreat in an isolated wilderness area. 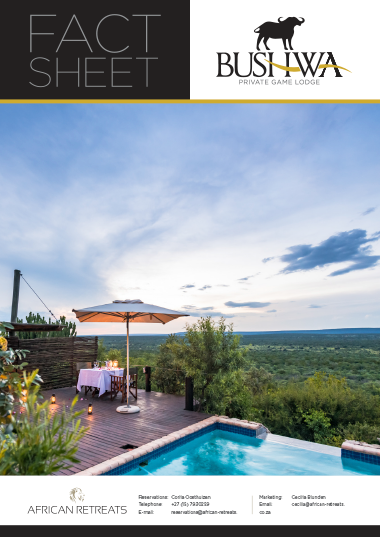 The 4 luxury safari tents and chalets each have private viewing decks with sweeping views of the landscape, and sleep a max of 2 people on four poster beds. Expect mosquito nets, percale linen, a mini-bar, plug points. Your romantic room has an en suite bathroom that leads into an outdoor shower surrounded by stone. Private decks are kitted out with deck chairs/sun loungers. There is also the standard spa room adjacent to the spa that is great for honeymooners. The romantic treehouse has a queen size bed and mosquito net. It overlooks the waterhole and is isolated from the main camp. At the tented bush camp you will also have access to a swimming pool, entertainment area with bar, kitchen and a boma. The camp sleeps up to 20 people in 5 bedrooms, and a loft room.